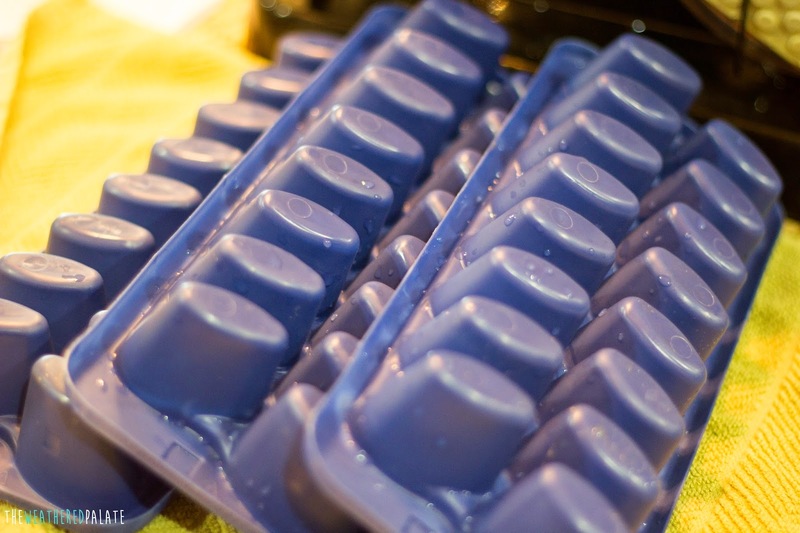 The thought of making baby food may be overwhelming for some of you. For the rest of you (myself included) buying baby food may be overwhelming. You can easily spend $60 if not more a month on baby food. Gulp. Diapers, wipes, baby food, formula, clothes, shoes...when does it end? (I hear it never ends!) When I said I wanted to make baby food before I had my first child I got the response, "yeah well, when you're taking care of a baby we'll see how much time you actually have to make baby food." *cricket cricket* Guess what? I now have two kids (toddler and baby) and I STILL have time to make baby food. I just wrapped up another baby food making session and I thought, you know, I really need to blog this. More people need to talk about how easy it is! 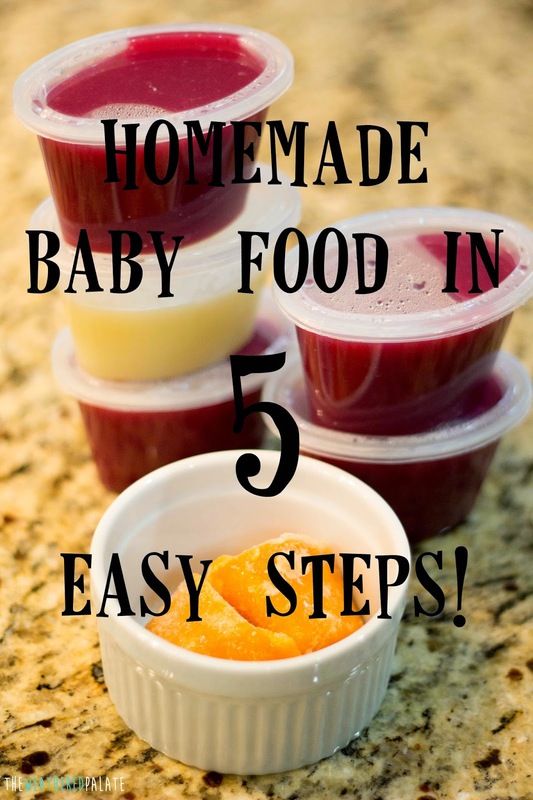 I'm showing you how I make my baby food and the materials I use to make it SO DARN EASY. Before I begin I should tell you that this is not a battle of who is the better mom. You don't get a gold medal or Nobel Peace Prize if you make baby food, buy organic baby food, or buy pre-made baby food. Nope, sorry, but you don't. 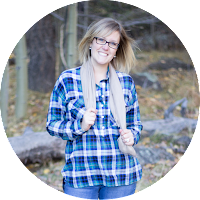 We find the easiest ways to compare ourselves to other moms and this is a reminder, DON'T. It's about what works for you and your family and this is what works for ours. 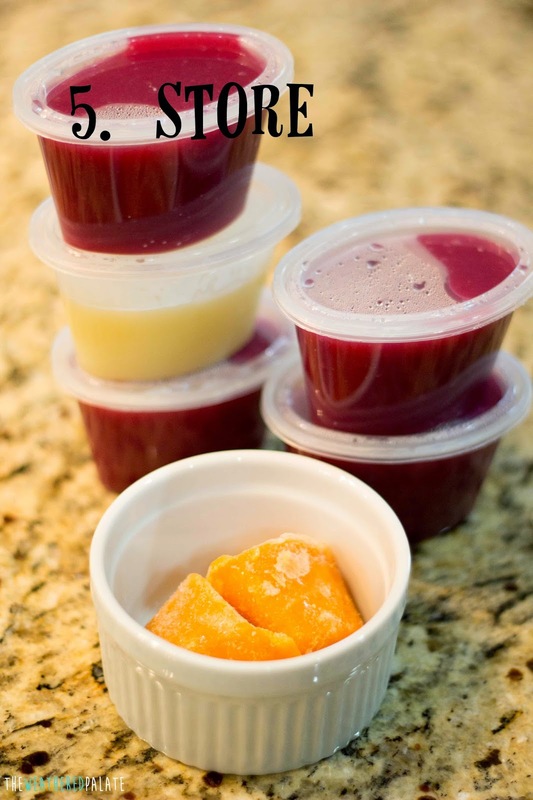 If I have any questions about how to prepare certain foods or what foods are okay to eat, I reference Momtastic's Wholesome Baby Food. 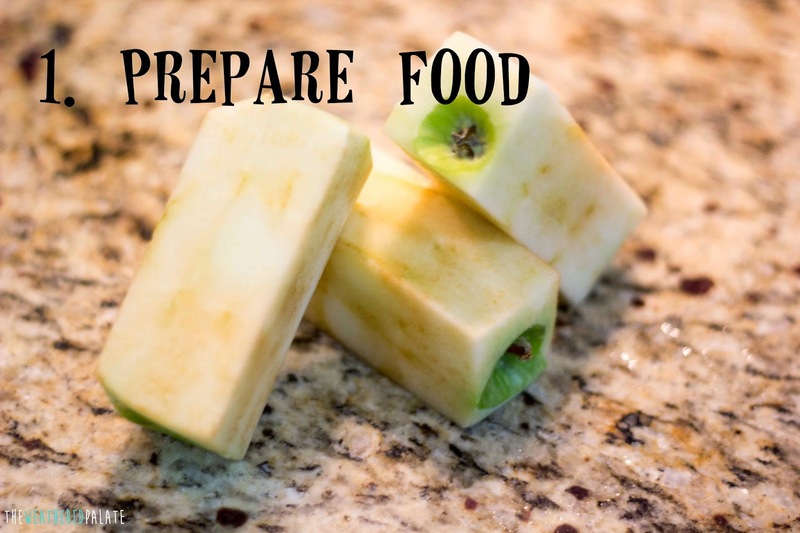 Prepare Food: Apples, bananas, blueberries, carrots, butternut squash, sweet potatoes, peas, green beans, chicken, turkey, pears, apricots...these are the usuals but Wholesome Baby Food has some great ideas if you need any. 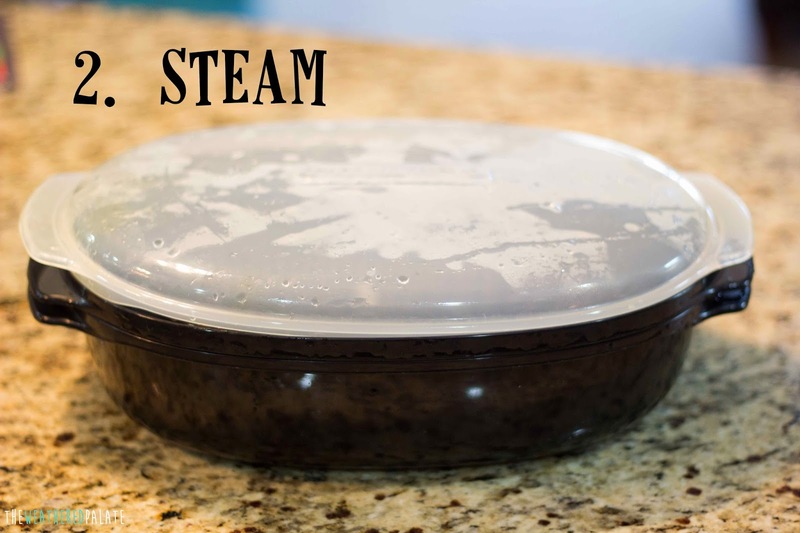 Just peel, chop, steam and blend. 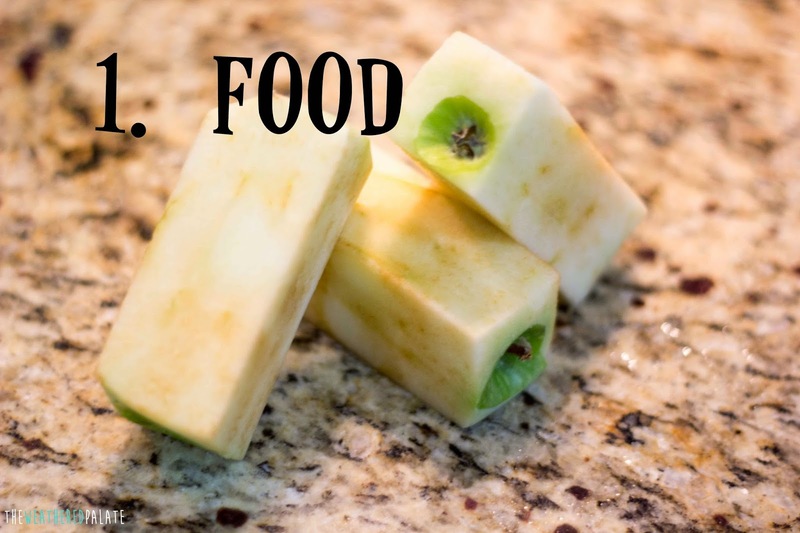 There are certain foods that can be eaten raw (depending on age) but most need to be cooked. 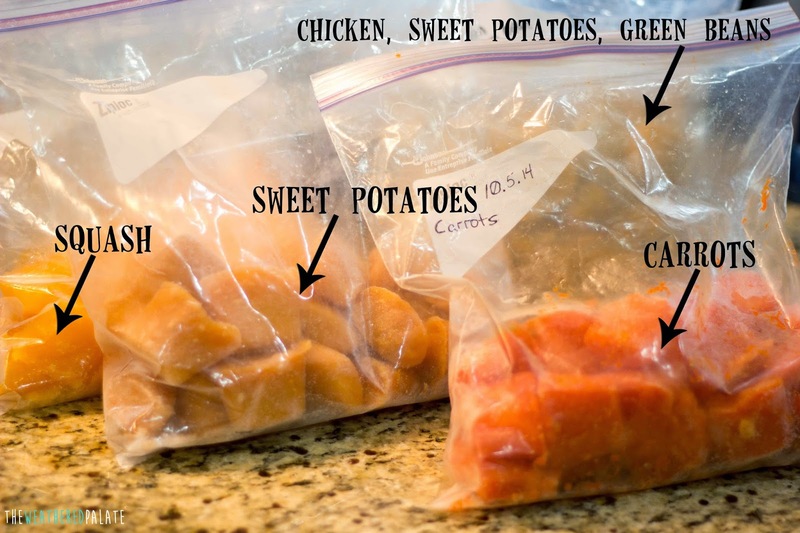 For peas and green beans, I usually head over to the frozen food section and buy frozen bags. Steam: We were pretty excited when we found out our microwave came with a steam basket! Some of you may already have one but if you don't, this one is the one we have. 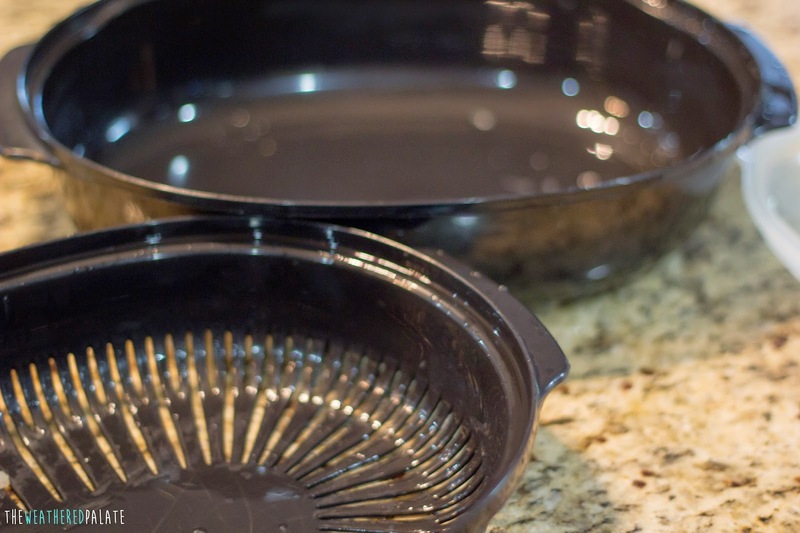 If you don't have one, then use a steam basket for the stove top. 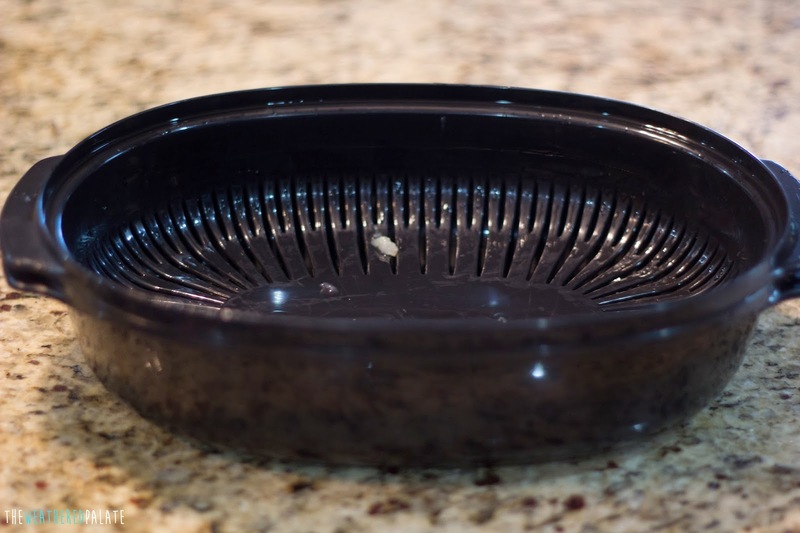 Before I had one I filled my large stock pot up with water, put my colander inside of it and set the lid to the stock pot inside the colander. Yes, very ghetto, but it works! 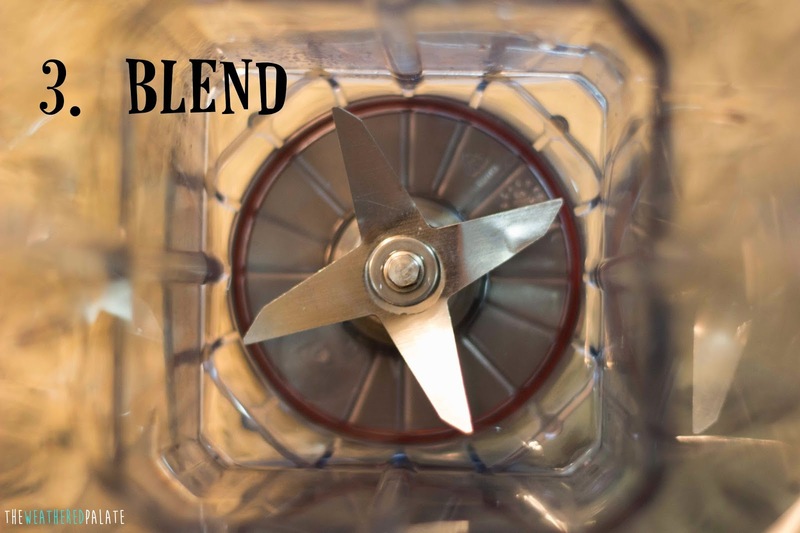 Blend: A good blender is an investment. 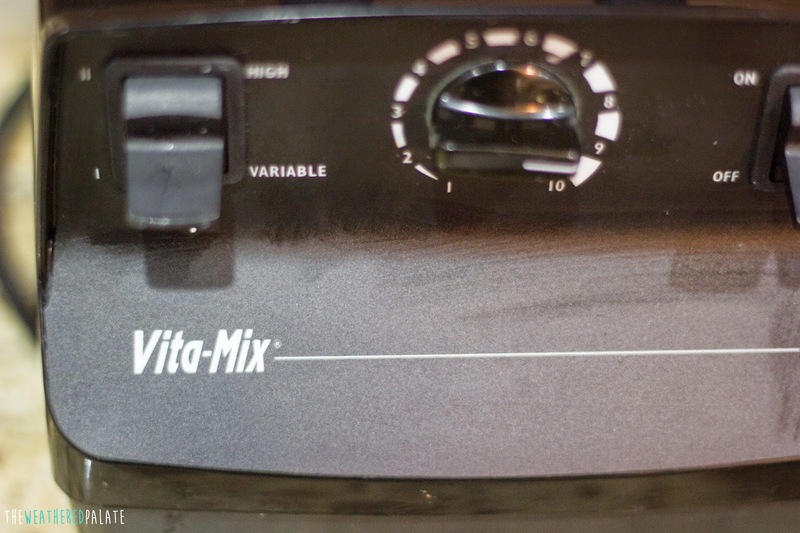 We are so thankful that we get to use my in-law's Vitamix. They are so expensive but it is SUCH a good blender. It blends everything perfectly smooth. We had one from Hamilton Beach that broke. The blade managed to get down the garbage disposal and took a beating. Kind of ironic, huh? But even before it died a very ironic death it still didn't work very well. I've also used a food processor to blend the food but found the blender made much smoother food. 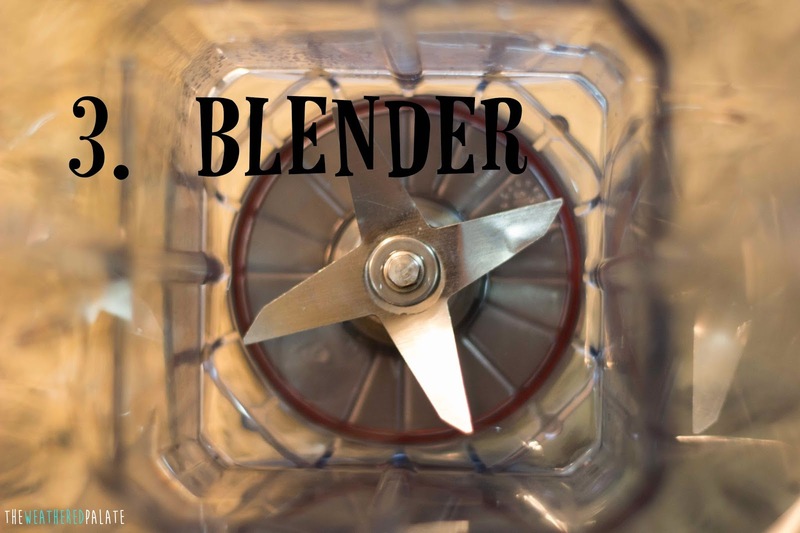 Add the food to the blender and pour in enough water to cover the food. If it's a fruit that has a lot of water in it already, add less. Always go for less, then add more if needed. If I'm pureeing banana and avocado, I add formula or breast milk instead of water. 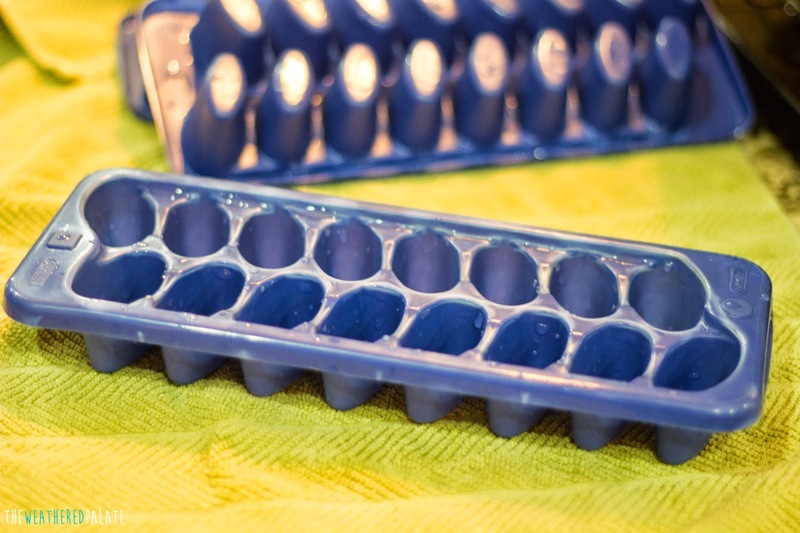 Freeze: These ice cube trays are another reason why I love the Dollar Tree! Of course you can find these at Wal-Mart and Target as well. 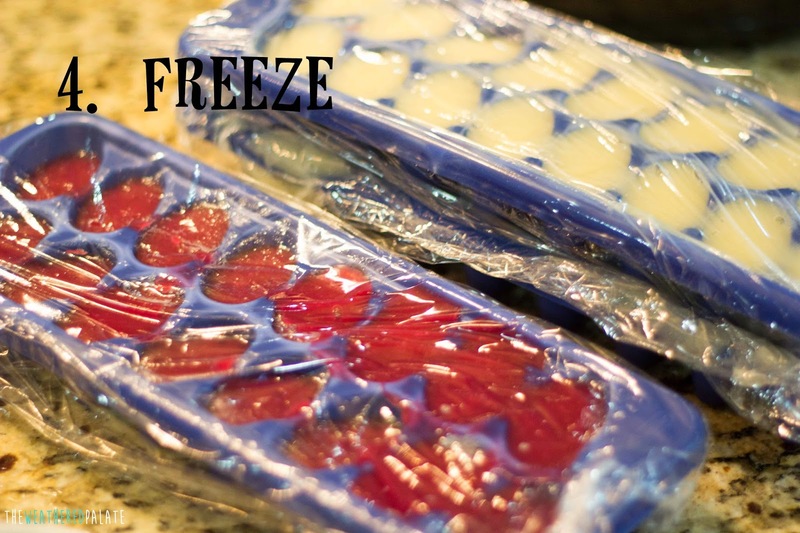 Once the food is blended, pour the pureed food in the ice try, cover it with plastic wrap and freeze it. There are baby brands that sell these but hold half as much and are 3 times more expensive. 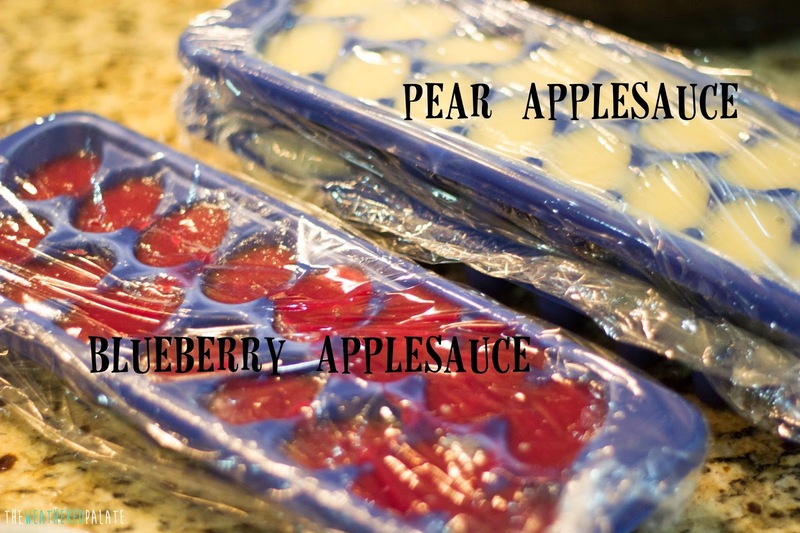 I freeze most of what I puree but also reserve some to put in the refrigerator. The only thing I don't freeze is banana and avocado purees. I make those fresh and make only enough for one meal since they turn so quickly. If you go to the baby isle you will pay quite a bit of money for not a whole lot of storage containers. I hate spending more money just because something has a fancy label. I was going through Wal-Mart not too long ago and found these containers in the paper plate aisle. 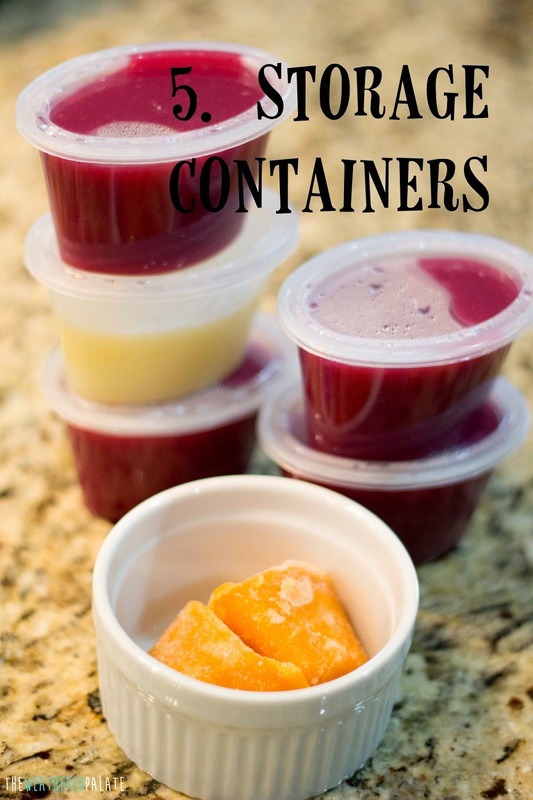 8-4oz containers for less than $3. 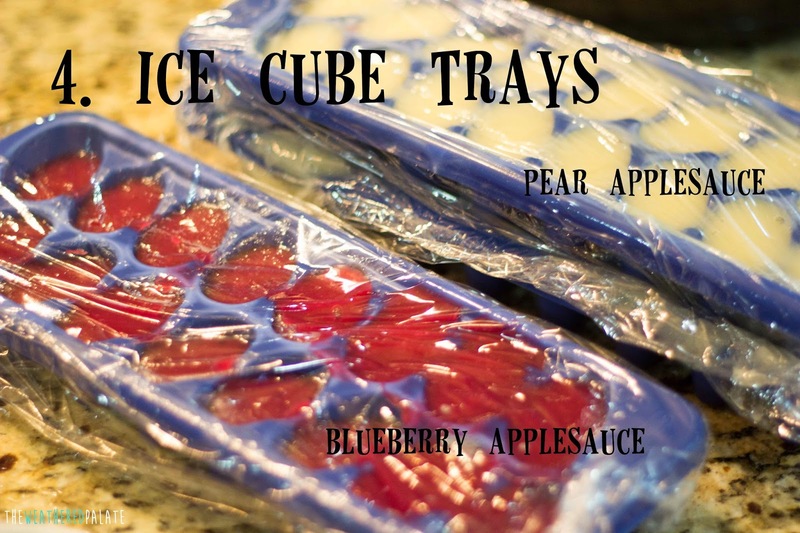 These are microwaveable, freezeable, dishwasher safe and of course reusable. PERFECT! I have never been so excited about storage containers in my life! So don't be overwhelmed. You can do it.